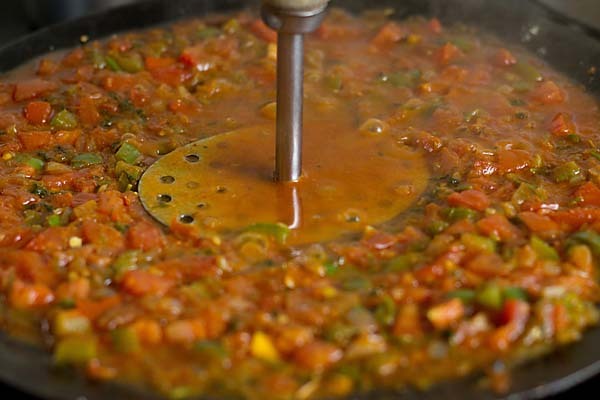 Easy Mushroom Tawa Masala Recipe – a simple, quick and easy recipe made on a big tawa also delicious like pav bhaji. 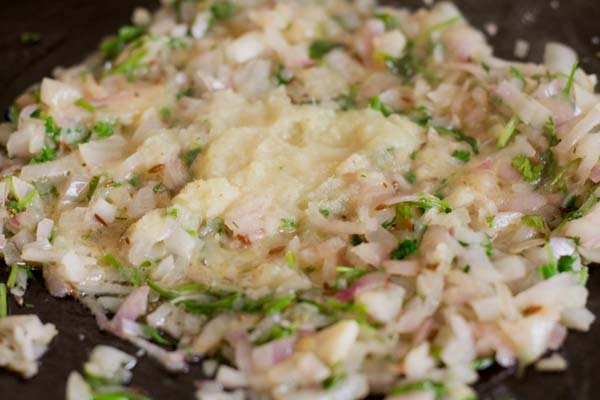 Everything is made on a tawa and an easy one pan dish. 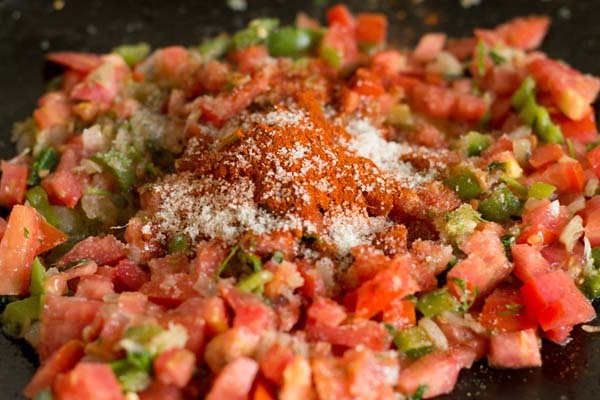 I have adapted from my own pav bhaji recipe on our food blog. You could make this dish during breakfast, brunch or main course. 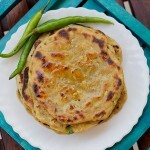 Club them with phulkas, toasted bread, roti, naan they even taste great with rice. I had made this for my parent’s, uncle and aunt as my hubby isn’t fond of mushrooms. Had clubbed ours with coriander rice and salad. 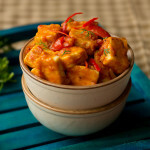 We usually make tawa chicken, tawa paneer but tawa mushrooms are made only for exceptions at our place. My family loved the tawa mushrooms so much that they had the leftovers next day with toasted bread. Planning to make them with tofu or veggies soon. 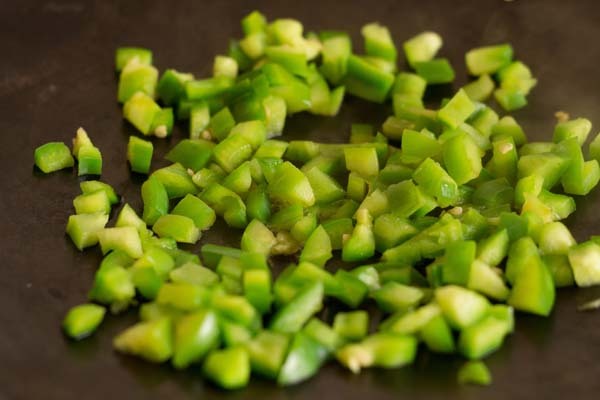 You just have to chop veggies and require spice powder like pav bhaji masala and garam masala. 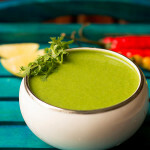 To give tangy flavor either you could add amchur powder or chat masala. This is made in a thick bottomed tawa or pan. If you don’t have just one a non-stick pan or sauce pan will do. I have used butter you could use oil instead. Personally, I love them to have with toasted bread and tea 😉 makes my day great. Firstly heat the tawa on high heat. Once it’s hot just add chopped capsicum. 2. Keep stirring add few drops of water and heat them for a minute more. 3. Remove them and place aside. 4. 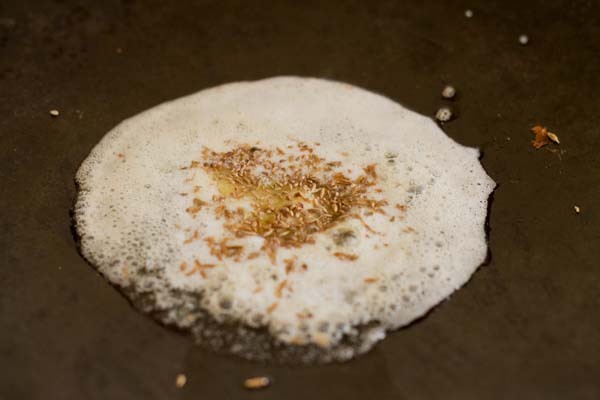 In the same pan add butter or oil add ajwain seed and cumin seed. 5. 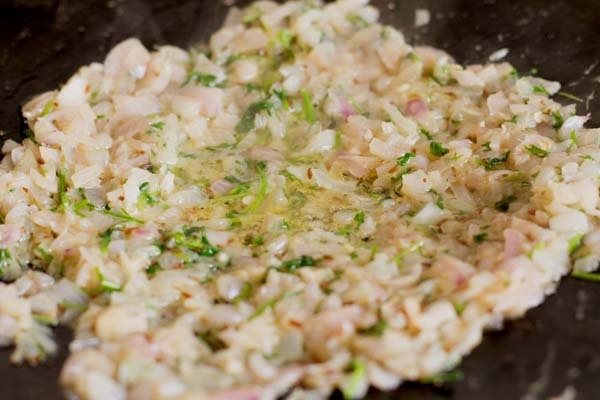 Once they crackle add they chopped onion and coriander leaves. 6. 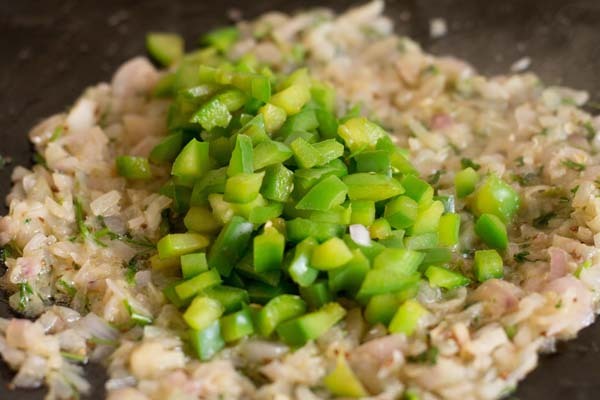 Add the ginger garlic paste and saute. 7. The onion should change color to pale pink or light brown. 8. 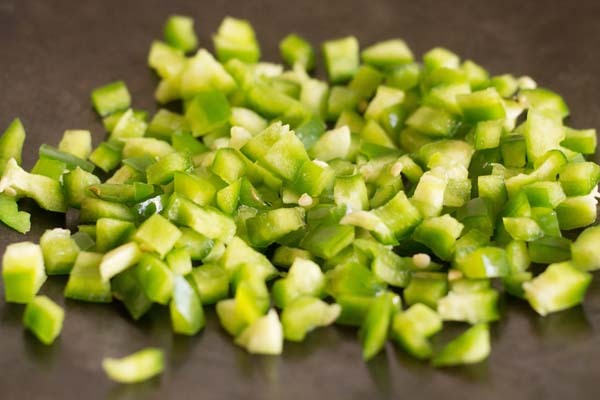 Add the capsicum again and saute. 9. Once capsicum softens add the tomatoes. 10. Saute them add all the spice powder, salt except chat masala or amchur powder. Also, add sugar if using. 11. 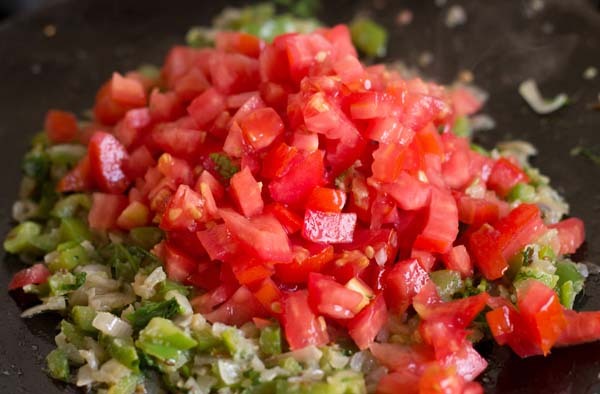 Cook until tomatoes soften add a little water if moisture dries. 12. Once all veggies soften mash with a potato masher. 13. Allow the mixture to dry. 14. Time to add mushrooms. 15. Keep stirring the mushrooms will leave water and cook in their own juice. 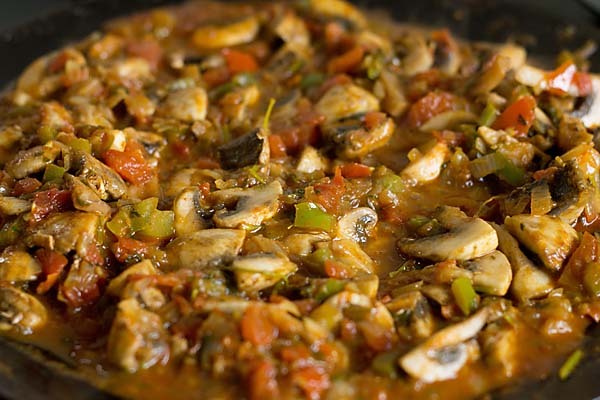 Mushrooms cook very fast once they change their color and texture that means they are cooked. 16. You could make this as semi gravy or dry it’s up to you. Lastly, add crushed kasuri methi leaves, coriander leaves and chat masala. 17. 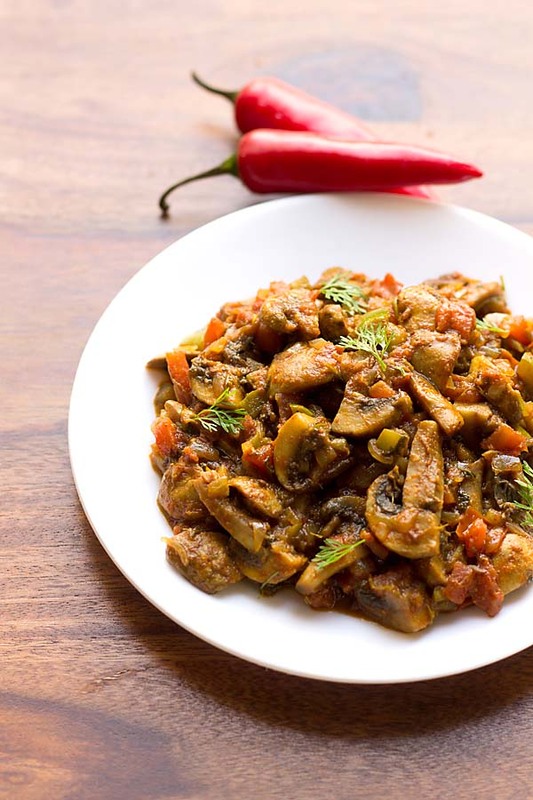 Serve your mushroom tawa masala recipe with roti, phulkas or toasted bread. 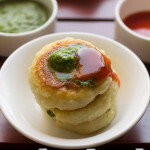 If you are looking for more such recipes then do check sweet corn fried rice, paneer masala, tomato rice, oats dosa, matki sabzi, malai paneer, quick egg curry, garam masala rice, kande pohe and tomato chili chutney. 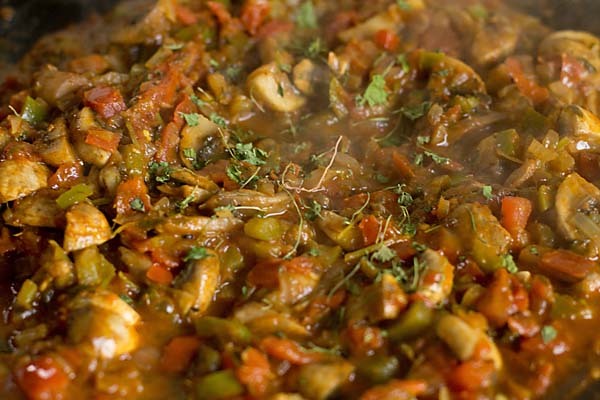 Easy Mushroom Tawa Masala Recipe - a simple, quick and easy recipe made on a big tawa also delicious like pav bhaji. Firstly heat the tawa on high heat. 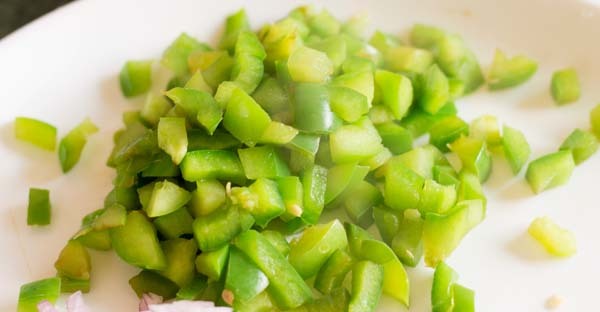 Once it's hot just add chopped capsicum. Keep stirring add few drops of water and heat them for a minute more. Remove them and place aside. In the same pan add butter or oil add ajwain seed and cumin seed. 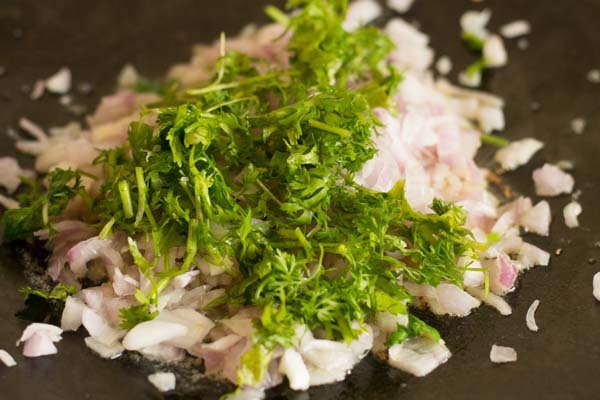 Once they crackle add they chopped onion and coriander leaves. The onion should change color to pale pink or light brown. Add the capsicum again and saute. 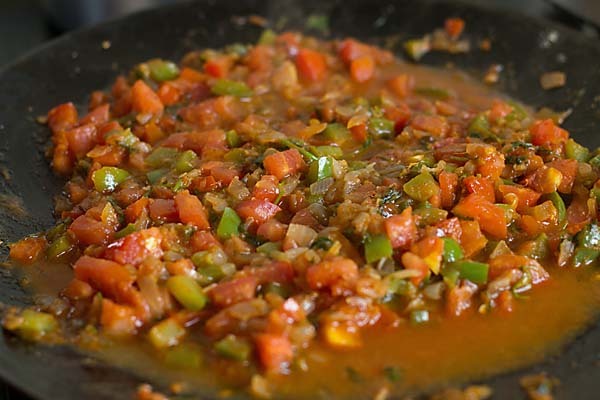 Once capsicum softens add the tomatoes. Saute them add all the spice powder, salt except chat masala or amchur powder. Also, add sugar if using. 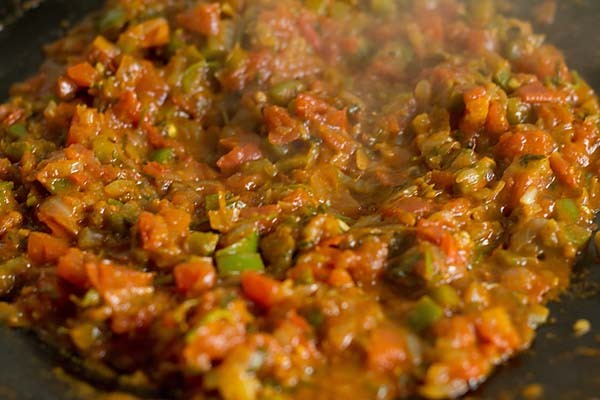 Cook until tomatoes soften adda little water if moisture dries. Once all veggies soften mash with a potato masher. Allow the mixture to dry. Keep stirring the mushrooms will leave water and cook in their own juice. 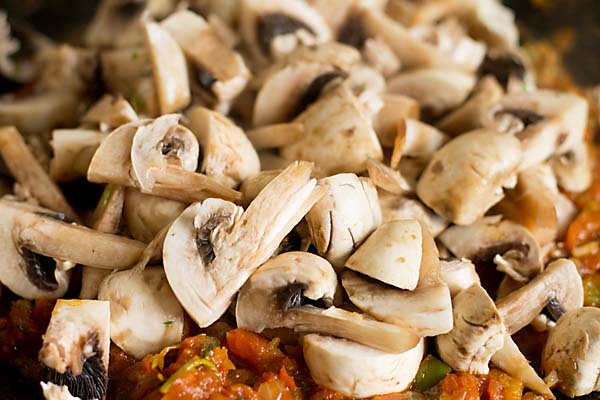 Mushrooms cook very fast once they change their color and texture that means they are cooked. You could make this as semi gravy or dry it's up to you. Lastly, add crushed kasuri methi leaves, coriander leaves and chat masala. 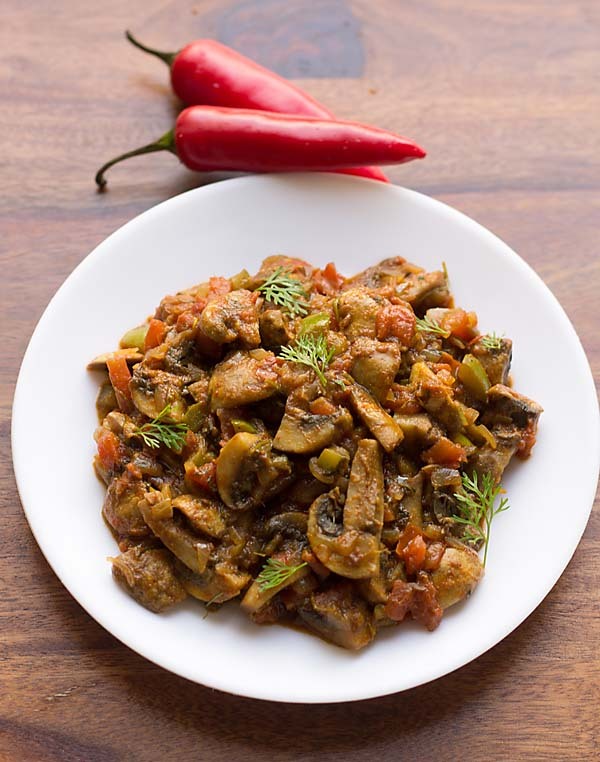 Serve your mushroom tawa masala recipe with roti, phulkas or toasted bread. 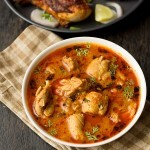 Awsome recipe, I made it so many times and everytime i ate it it gives me chef feeling. Sure try David and let us know how it was, thanks. Wow! 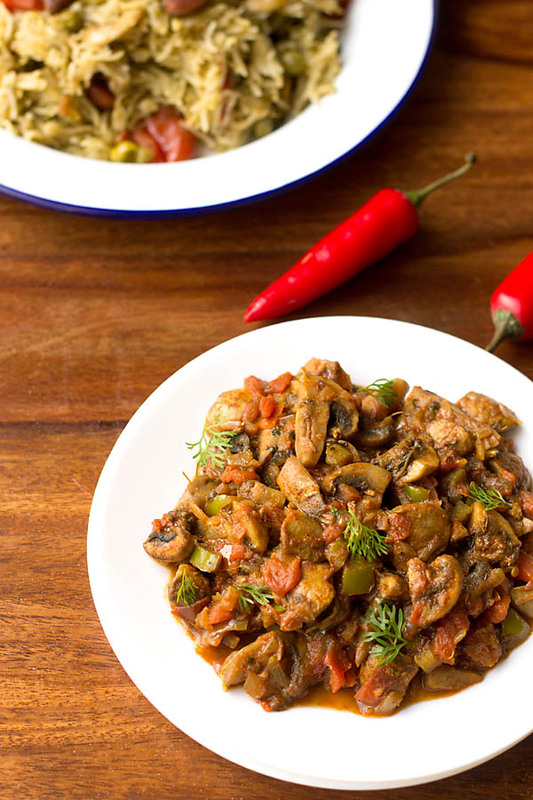 This one is easy and so perfect since mushrooms and capsicums/bell peppers go hand in hand! Thanks for the recipe. 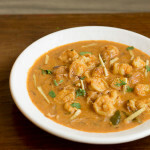 I will make this tonight for dinner. Surely try Neeta and let us know how it was? thankyou for your positive words. Totally awesome! Thank you for the recipe – did not use any sugar. Want to give 5 stars but, the program does not allow me! All the ads are blocked by my security program….may be that is the issue? No problems Neeta thankyou for your honest, positive and encouraging words 🙂 glad you liked the mushroom tawa masala recipe.